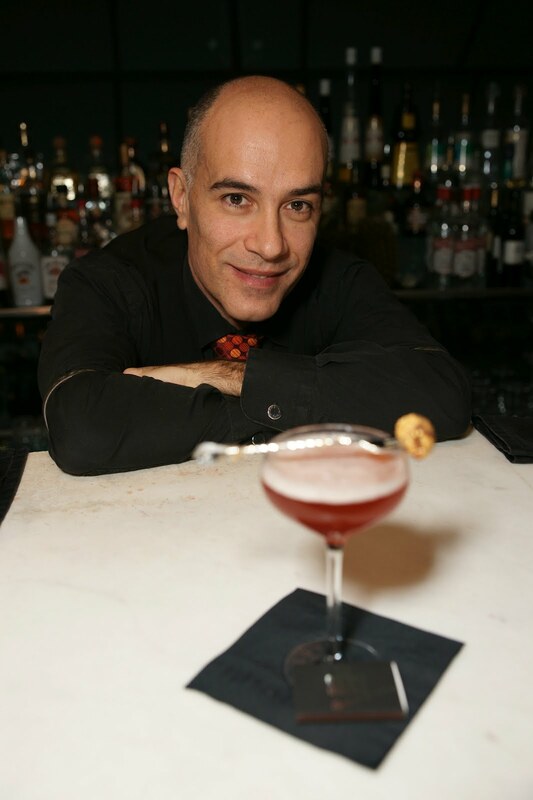 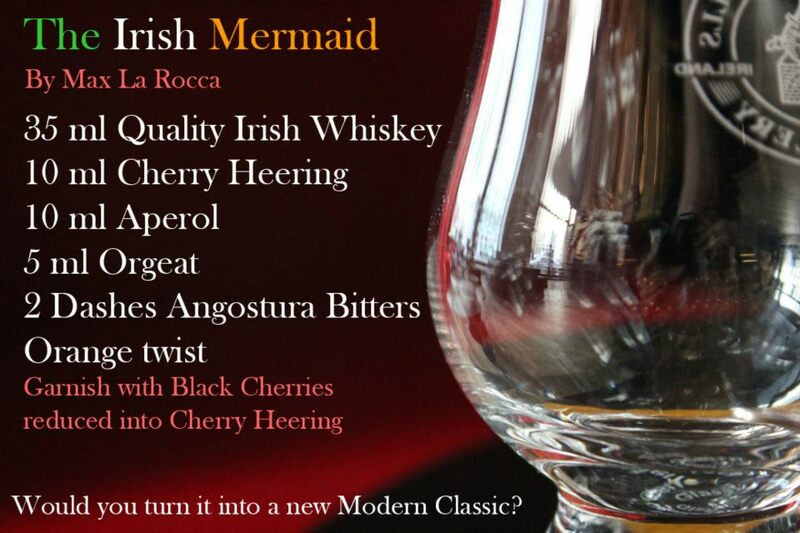 "Listen to the Ice"...by Massimo La Rocca: How about turning the "Irish Mermaid" into a new Classic Cocktail? 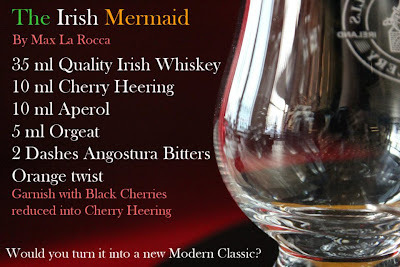 How about turning the "Irish Mermaid" into a new Classic Cocktail? 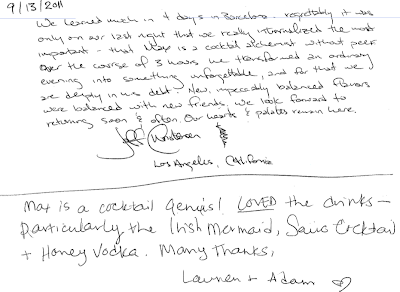 Dear colleagues, friends and guests how about turning the IRISH MERMAID Cocktail into a NEW CLASSIC, making the drink in your Bar and spreading the word about it? 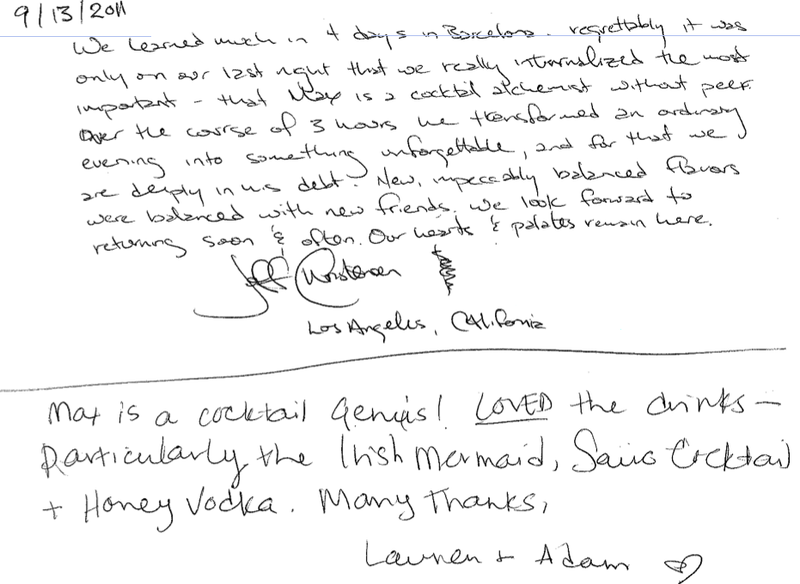 I've been thinking about this after 2 years of amazing feedbacks from my guests and decided it would be nice to share it with you all, because sharing is caring right? 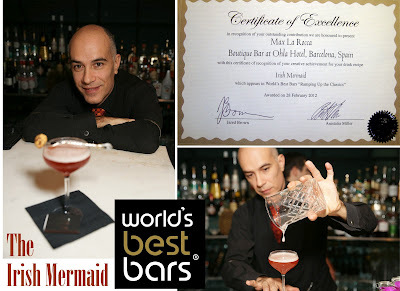 This drink also got a Certificate of Excellence from Jared Brown and Anistatia Miller and appears in the World's Best Bars "Ramping up the Classics" Series. 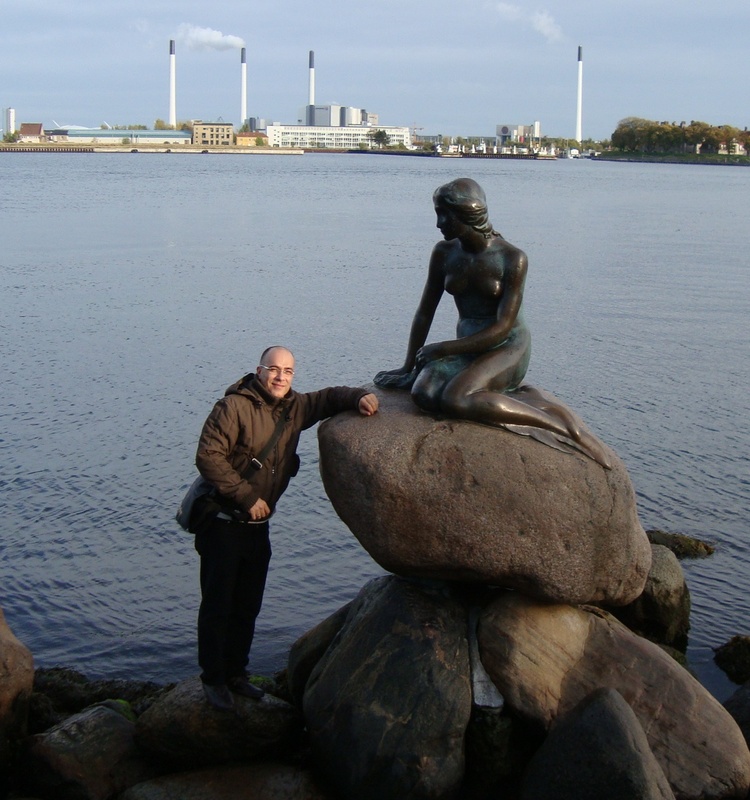 The name "Mermaid" pays homage to the statue of the little Mermaid in Copenhagen which is where Cherry Heering liqueur comes from. 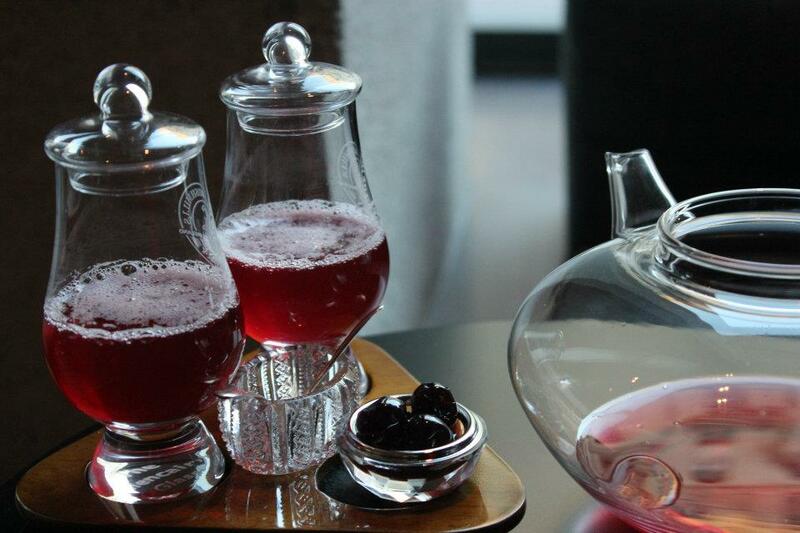 afternoon tea, so I wanted to start selling cocktail during those hours too and decided to throw this drink right at the customer's table with a crystal teapot so that people would get curious about cocktails. 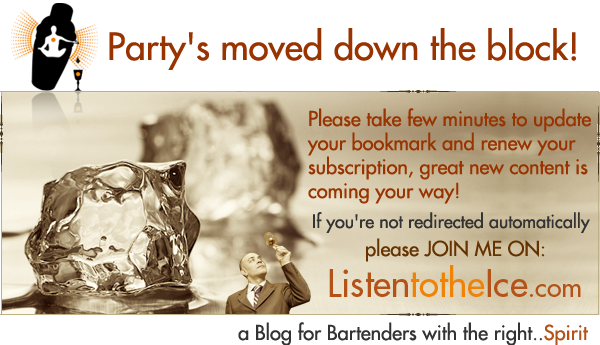 After a few months, that's what happened! 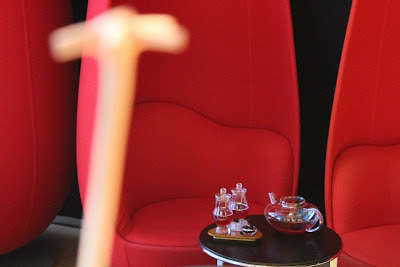 Today you can enjoy this beautiful drink at Ohla Hotel's "Boutique Bar" in Barcelona. If you can't use a teapot a simple throwing will do the trick! 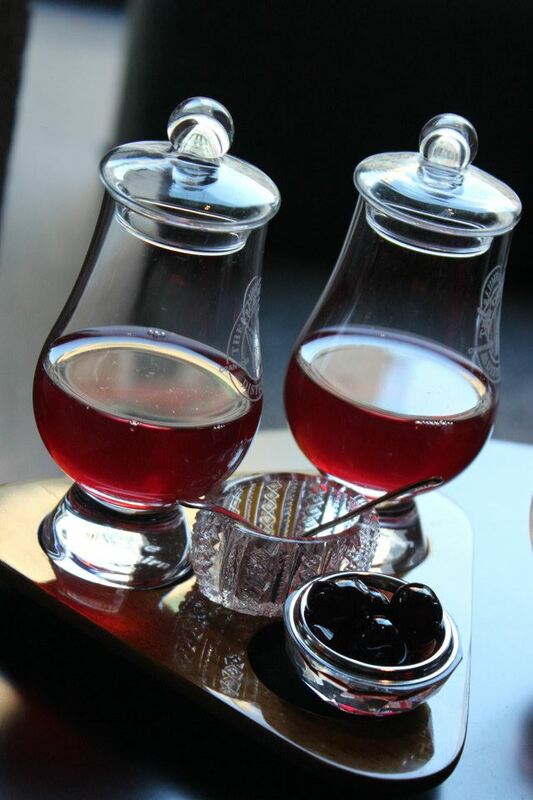 By playing on the amount of Orgeat, you can easily transform this nice aperitif into a tasty after dinner drink making it suitable for any time of the day. 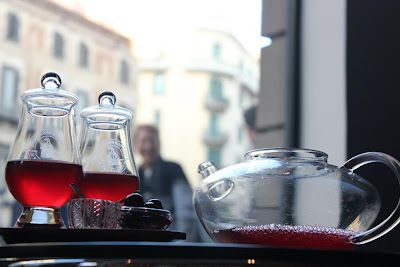 If you can spare few minutes please like it and share it on Facebook too. Hey Max, I'd love to help you make this recipe stick as a classic. 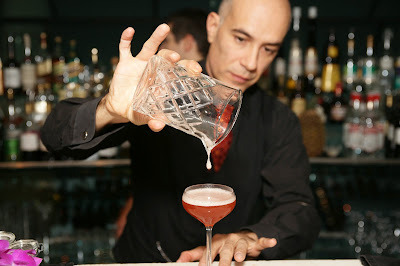 Would you mind creating an account on GarnishBar.com and submitting this recipe? I would submit it myself, but didn't want to take any credit away from you.